Every detail counts in presenting your products and services to potential and existing customers. 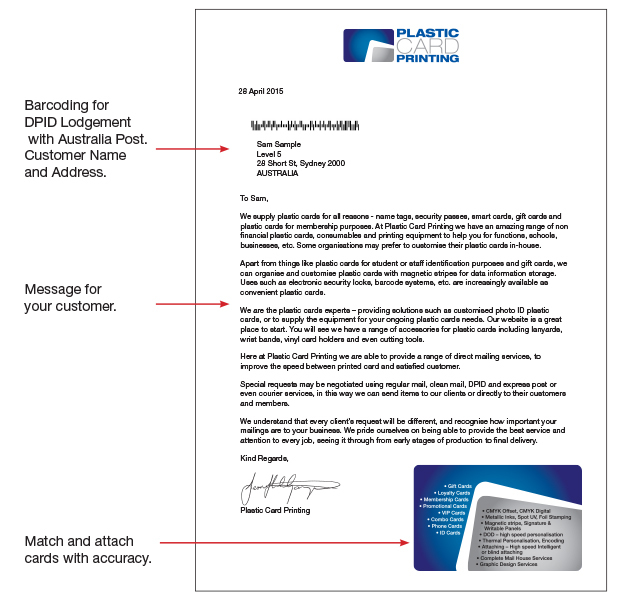 With this in mind, Plastic Card Printing is able to print personalised data onto custom letterheads, attaching cards to those letters if required. Our laser printing facilities provide a professionally presented letter to be sent on behalf of our clients to their members or customers; from simple letters of introduction, or detailed terms and conditions. For more information on how we attach specific cards to specific letters, see Matching. Often a card in the mail is not enough, there are many times when a customer needs details in a clear, legible form. 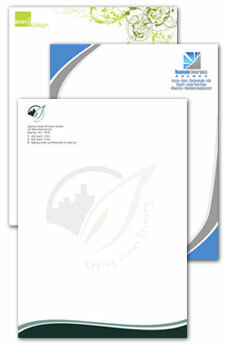 For this reason we provide the service of attaching cards to carriers and letterheads. We are able to match and attach cards to simple carriers with a company logo or limited use conditions, or we can attach them to letters of one or more pages with specific details for the cardholder. When performing this service, we ensure that any customised data from the card and the attached paperwork are carefully matched to ensure your cardholder’s information remains confidential. We complete this with both intelligent and blind attachment facilities (see High Speed Attaching for more details). Typically, a matching operation will be followed by a direct mail-out to a client’s members or customers. This provides a fast, accurate and professional service on behalf of our clients.